The 2002 year has been a successful one for Edinburgh Park Stud, with both Magic Marvo and Blinder winning at Royal Randwick. 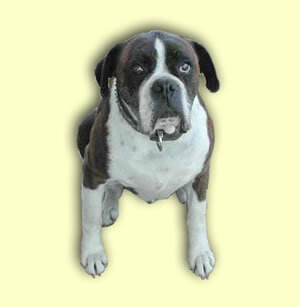 Keiser passed away - 10 years old. A very sad moment for the Stud as it lost a dear and lifelong family member. Keiser will be greatly missed, but will live in our hearts forever. Goodbye, old friend. Rest in peace. With Magic Marvo being retained by the Stud, we will be updating his results and up-coming racing program throughout his career. 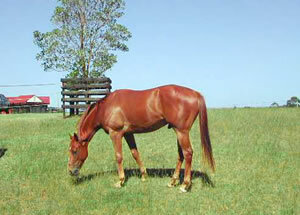 He is currently being set for the Cadbury Guineas in February 2003 at Flemington. Magic Marvo has been spelling at the farm for the past 7 weeks and has now returned to Rod Craig at Warwick Farm, while we look forward to a successful new year in 2003. Magic Marvo rushes home to run 2nd, beating Choisir to narrowly miss Group 2 Glory in the Stan Fox Stakes. Blinder finally showing his full potential, winning at Royal Randwick. Magic Marvo creates history in fine style winning the first race on the new course proper at Royal Randwick on Australia Day.